Softy and I discussed the possibility of her taking over my recaps but during episode 10, I had to help her with Lee Soon Shin’s lines because his military talk was too difficult for her to handle on her own. On each recap night, I need to get a reasonable amount of rest, but if I stay up to help her past midnight with certain lines, that would defeat the purpose of stopping these recaps to get more sleep to function the next day. This drama will only get more complicated with Gwan Woong’s plans to work with the Japanese so Softy doesn’t have the confidence to continue solo. We bandied around legitimate reasons why I should stop and also why I should continue and the only conclusion my body can handle at this point is to drop the recaps. Just like I held out hope that Sung Joon’s main of glory would improve over time but it continues to be an embarrassment, I am going to have to face facts and realize my situation won’t get any better. What I need is time to learn my way around Korea so I can stop stressing out and getting sick. I need time to build a healthy routine so I can handle Korea better. The upside to all this is that by the time “Heirs” rolls around, I will be in better physical shape to tackle it. 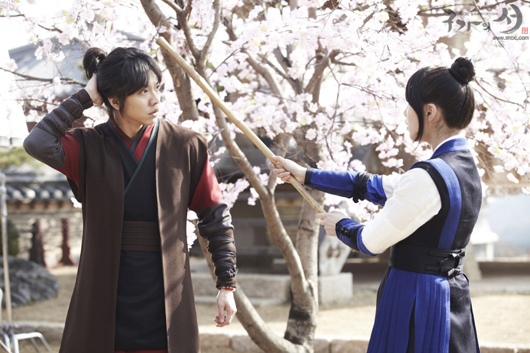 I will also have time to watch other dramas and write more about them, as well as about Korea. 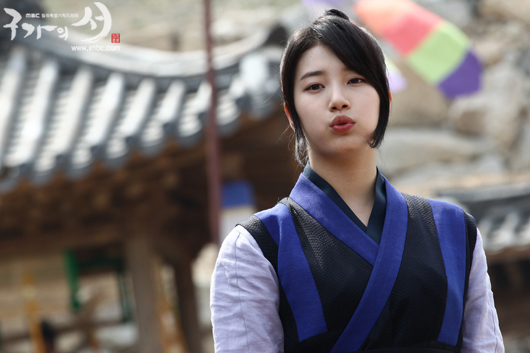 Forgive me readers and fans of “Gu Family Book.” Even up to this moment of posting this announcement, I was thinking, “Just one more week,” but I have to be rational and honest to myself. I am sorry to disappoint the many fans of the drama but please know that in spirit, I am with you in my love for the darling little thing. 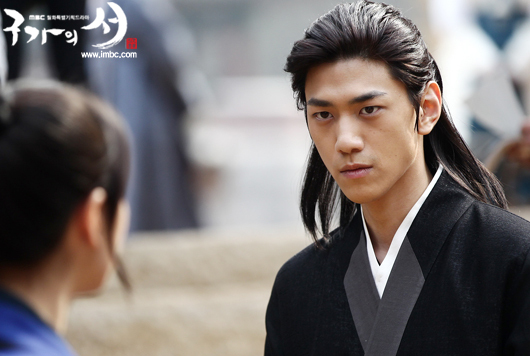 I hope by the end both Kang Chi and I will be fully human. Hi Jooni, it is enough for me to know that you are a fan of Lee Seung Gi just as I am. I will miss your live recap but then, as many have so wisely said, your health comes first. Hope that you will be in the pink of health soon and continue to watch GFB ! 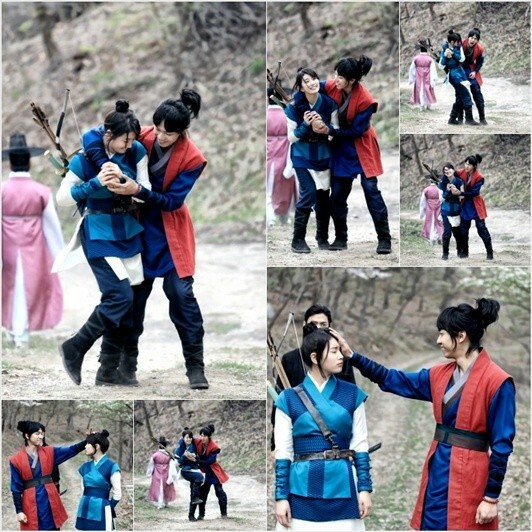 Jooni and GFB fighting ! I 2nd and 3rd the comments and responses and well wishes that have been expressed before mine. Yes, your health is very important, yes, we DO understand, yes we want you to be and feel better so you can enjoy Korea, your new job, your new home and everything else you are currently experiencing and will continue to experience over the rest of the year. Please keep up posted on how you are doing. My prayers and well wishes are sent on your behalf and to you. Thank you for giving us 10 episodes recaps of GFB. We appreciate that, A LOT. Wishing you a speedy recovery, a lot of rest, and a wonderful time in Korea (really). Dear Joonni, everybody already says what I wanted to says. Just get better and stay healty..thank you..
I’m regretting just know about it now, all busyness keep me far from your blog for a week. Joonni, over all, your health should come first. Just enjoy the ride without any burden to recap, and I wish you speed recovery, as well as fast adaptation *hug*. What makes me enjoying your recap is your warm & beautiful insight, the touch of humanity all over it. Will miss it, but you should do the priority (which is HEALTH!) First! “̮˚°◦♡ώκωķ(∩_∩)◦°˚”̮ it’ll be great if we can get a drop of his blood for our joonnie.. And keep one little drop for ourselves just in case.. Thank you for all the amazing recaps you’ve done so far. After all your health is the most important thing. Get well soon joonni!!! Your health is more important then the recap….we need to think long term….there’s always going to be another drama series that makes us goo-goo but there’s only one joonni! Thanks for the 10 episodes of recaps! joonni dear, health first. 🙂 we are just here waiting for the next drama you will recap. 🙂 as much as we would want to read your recaps, we want to read that your are well first and foremost. Have followed you since QIHM and squeed along with you. Take care of yourself, get better and only come back when you are healthy and can enjoy it! When I first came to Asia I broke out in spots, worse than my teenage years. I tried all sorts of things like eating turtle jelly and drinking ‘detoxifying’ Chinese herbal drinks. Nothing worked for me and my skin only calmed down after about 2 months. I hope you will adapt to Korea faster than I did to Hong Kong! Sending you bear hugs and lots of healing smiles too. Take lots of rest & sleep. I wish you good health. We shall be right here when you feel better to do drama recap again. Thank you for the recap you did for Gu. You did well! 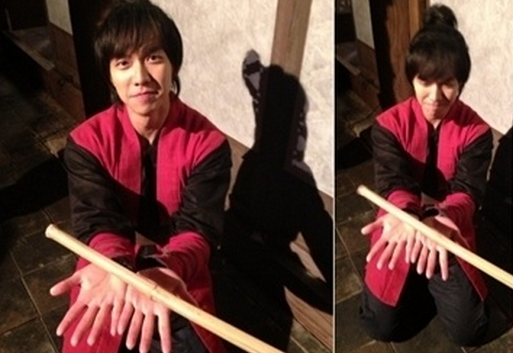 SeungGi must know and must thank you for the hard work you selflessly gave for his first saeguk. Don’t be so sad. . Health comes first as Softy says. . Don’t worry. I know u will come back in no time. There are plenty of other sites with we can read the story (of course they are no match to ur skills but sufficient for us till u come back). .
Take good care of ur health. . Wishing u healthy and speedy recovery. . There is the option of just a plain recap instead of live recap but if you’re seriously not well, I do recommend letting go for a while. Your readers love your insight so instead of full recaps, you might also just write a simple impression of the episode. Any decision you make, I’m sure no one would begrudge you for making your health and life a priority. Take care and be healthy! I’m sorry Joonnie you’ve been having health issues. Health definitely comes first. Just wondering though if instead of recaps which is so time consuming, what about just doing a quick review of the episodes after? I would think most viewers have access to some sort of subs so don’t need the full recaps per say. Just a thought. But again health is far, far more important so focus on that first. I hope you feel better soon. OMG, the episode is beautiful. The ending a classic cliffhanger! The complications giving everything and every cast some fitting crescendo! love is the answer….love, YW! And oh GUys, it is Wednesday! Just not the best part of the week, u agree, when we are rooting for Mondays&Tuesdays?! Just read about your ceasing to recap Gu family and taking care of your health. With your new job and new country, you need to focus on those things first. Take care but keep in touch with us every now and then. I hope you will be ready when Heirs start. I will definitely follow your recapping then. Both you and Softy, looking forward to it. Till then have fun with your new job and lovely Korea. I hope since your last post things are starting to turn around for you. I’ve been living in S. Korea from the US for a year now this time around (this is our second time living here, the first was for 3 years). If I can help you in any way, please feel free to contact me. The allergens are terrible this time of year and unfortunately take a while to get use to. Please let me know if I can give you any tips to help you out!